Rainbow over heathland at Mogshade Hill in the New Forest National Park. England, Hampshire, Mogshade Hill. 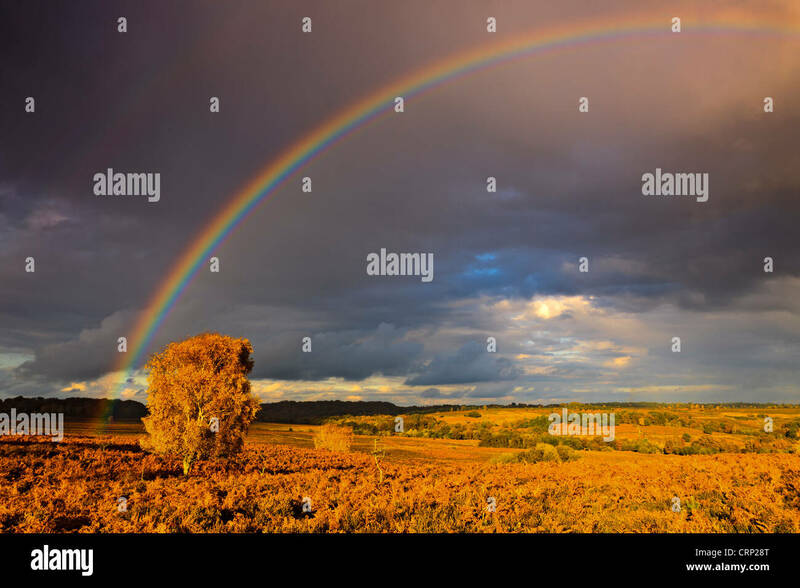 Rainbow over heathland at Mogshade Hill in the New Forest National Park.